Rails Tackle Time Trials Meet! 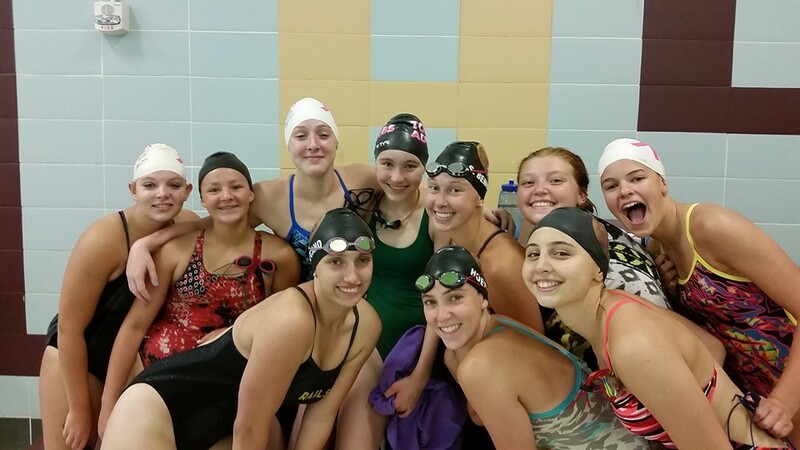 The high school girls team tackled Time Trials on Saturday (8/13). While it was only the first Saturday of the season, it’s important to have a mock meet to evaluate individual swims and splits for relay events. Those times help coaches determine the best line-up for the first few meets of season. The team did well, swimming significantly faster than at last year’s time trials. In fact, some times from Saturday weren’t seen until halfway into season last year! The improvements are truly a testament to the everyone’s hard work in the off-season. Below are just a few meet highlights from Saturday’s time trials. While we can’t include everyone in the meet highlights, we try to feature swims from every meet. Please note that Time Trials works a little different than dual meets. We keep most varsity times under wraps until after the first meet of the season, so they won’t be featured here. Chicken Bowl | Aug. 19 – This long-time tradition kicks off the fall sports and is a fundraiser for Lincoln High School. The swimmers/divers are traditionally announced early in the program. However, we don’t have an exact schedule. The Chicken Bowl will start promptly at 6:00PM. Wear your team t-shirt to this event (and keep it clean for pictures the next morning). Team Slumber Party | Aug. 19 – Enjoy a fun team activity at the Bennett house on Friday night! All members of the team are invited. Please RSVP to Sara or Mrs. Bennett. Team Pictures | Aug. 20 – Wear your team shirt for team pictures! Divers will have practice from 7-8:30AM. Swimmers don’t have to report for pictures until 9:15AM. Pictures will start promptly at 9:30AM. We will take individual photos, buddy shots and a team photo. Just a reminder, the faster we take all the photos, the faster everyone can go home.